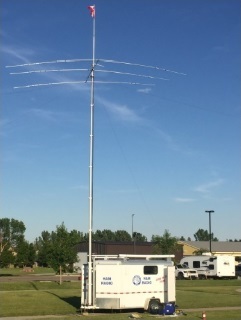 For the over 50 MHz and up crowd the VHF interest group offers a wide array of topics and opportunities to learn about this spectrum arena. From antenna design to hidden transmitter hunts to finding the right type of coax the group is the place to learn. Why not attend one of our meetings? Everyone is welcome. If you are an amateur from out of town, or just interested, drop in and say howdy. Check out the CARA Events Calendar for details . Currently, CARA has a total of 15 repeaters at 12 sites, of which 3 include ARPS. A site assessment being conducted this summer will provide the basis for realignment of these facilities to better serve and complement the needs of amateurs in the region. Big things have been happening over the past year. The packet network in the Calgary area has been upgraded for better performance, reliability and functionality. To have a look at the current network setup refer to the Network Information page. The major interests of the group are packet radio, local area and wide area packet networks, TCP/IP, and of course packet radio through the Internet. 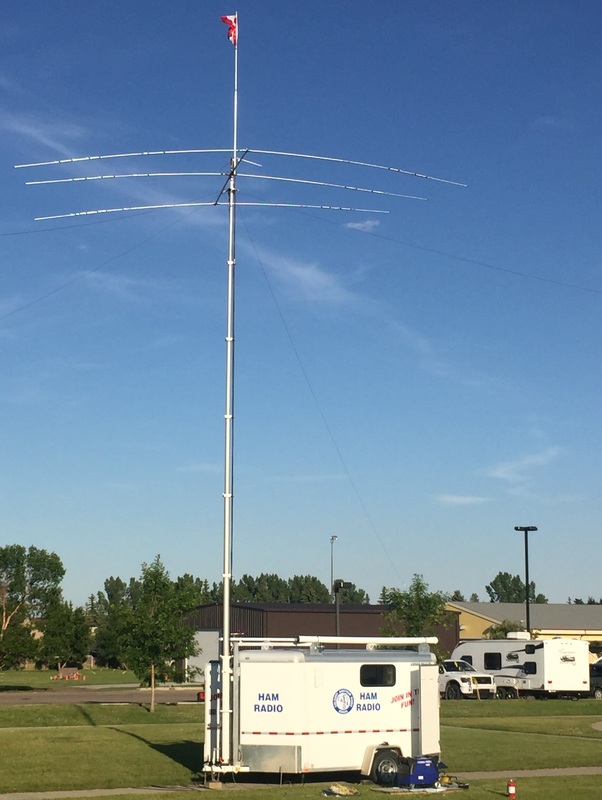 CARA currently operates a terrestrial LAN through southern Alberta, a satellite gateway from Calgary to Allen Park, Ontario and Ottawa , Ontario and a full-time connection to the Internet through SHAW. Why not attend a meeting? Everyone is welcome. We normally meet the third Monday of each month together with the VHF interest group. Check out the events calendar for details and exceptions. If you have a question about packet, don't hesitate to contact via packet at the club's address of VE6YYC@VE6YYC.#sab.ab.can.na. APRS automatic position reporting has really taken off in the calgary area. To check out the activity simply follow the link to the APRS server or see the Current Activity in Calgary. I turn on the map and ask it to show the last 100 contacts. Also there is a spotting port to connect to your favorite radio control program on: 68.147.218.110:7300 if it ever asks for a password it's Cara. This IP Address may change so watch out on the club website / mail lists for an announcement if it does. Digital Mobile Radio: here is a very good explanation for that. Cara's Repeater VE6IPG is located near the intersection of Southland Drive and MacLeod Trail. To see info about VE6IPG and the local DStar activity click here. Are you registered with DStar? If so use this link to log on to VE6IPG . YOU can update your profile and add your equipment IDs.If you have a DStar ready radio or a DV Dongle follow D-STAR Register process to get active on the air. 1) keep your transmissions shorter, perhaps 15 to 30 seconds maximum due to the possibility you may be colliding with another station., and if so, the longer you talk, the longer no one can hear. 2) always direct someone else whom you know to be listening to "take it" from you otherwise two or three people key up at once. 3) pause before you transmit 3 to 5 seconds, even if you were directed to transmit by someone else. A third party may need to get in. 4) after three to five transmissions, while you are in control, ask if anyone else wants in and pause 10 or so seconds to give them a chance. 5) if a dongle links in and tries to talk to you, ask them to disconnect and reconnect directly to the reflector. Otherwise they won't hear anyone on the reflector although they will still hear you. Take some time to watch this and listen to the repeater/gateway at the same time. You can tell when a reflector is linked very easily by the appearance of a reflector "call". Every time a transmission is made (as long as you have set RPT2=VE6IPG^G) a record of that will appear - including kerchunks, hi hi. If you have already registered on a gateway anywhere else in the world, do not register on this gateway. Doing so will cause all kinds of havoc. To register on the CARA gateway simply click on the link: HERE . Two things about this link. The D-Star gateway machine is on a dynamic IP address. What does this mean? Well from time to time the ISP (Internet Service Provider) may change our IP address, which will make the above link not work. I get daily updates as to what our IP address is and will update the above address as soon as I can. If it hasn't worked in a couple of days please let me know and I'll try and fix it. Secondly, the web server on the gateway does not have a security certificate that matches the domain. What does this mean? Well your browser will tell you that there is a problem with this sites security certificate. It should give you a couple of options. One is close the web page and the other is to continue to the web site (which it says is not recommended). I assure you that there is no problem with continuing to the web site. I should received an email saying that you want to register on the gateway. Once I've gone through your information and confirmed you are who you say you are I will approve you. From there follow the instruction below. They where not written by me but should work. Click the "initial" box to place the cursor in this box. Now hit the spacebar to put a space character in this box. This is VERY IMPORTANT. Leave the RPT box unchecked. Move the cursor to the "pcname" box. Enter your call sign in lower-case. Please, lower-case! Click the update button. As before, if you receive an error, just try an hour or two later. As you can see, the first line is a GENERAL. Meaning I can just set it up to use VA6AE on any radio. However, I have a portable as well so I can setup my "MYCALL" in my radio to correspond to this IP address by changing "MYCALL" in my 91AD portable radio from "VA6AE" to "VA6AE/P". So now everyone on the Dstar system would know when I key up my radio it will read "va6ae-portable" to the rest of the world. Same setup for the Mobile or a Base station if you wish. It's totally up to you. Now most of you have just one radio so the "First" line as the General call will work just fine for setup purposes. If you have ANY questions please feel free to email us at any time. The ATV repeater is no longer in service.